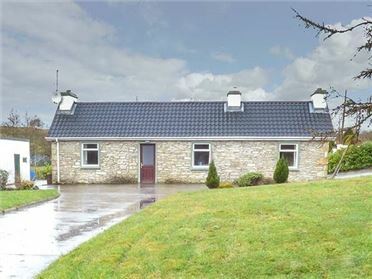 Goodlands Cottage is adetached bungalow which is situated half way between Miltown Malbay and Spanish Point on the west coast of Ireland in County Clare. With one twin bedroom and three doubles (one with an ensuite) and a family bathroom, this cottage can sleep eight people. The rest of the accommodation comprises a fitted kitchen with a dining area and an open fire and a sitting room which also has an open fire. Outside the cottage is a lawned garden surrounding the cottage with garden furniture and a BBQ, as well as off road parking for four cars. 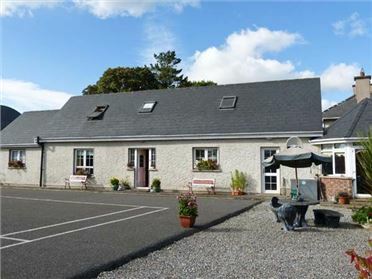 With many rooms having sea views and being located close to the beaches of Spanish Point, Goodlands Cottage is a lovely family cottage all year round. 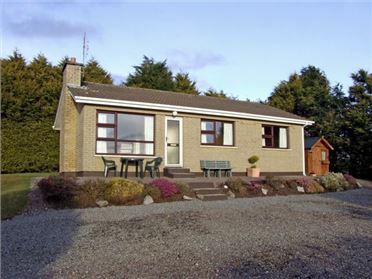 All ground floor.Four bedrooms: 1 x double with sea views and built-in wardrobes, 1 x double with rural views and built-in wardrobes, 1 x twin with sea views and built-in wardrobes, 1 x double with en-suite shower, basin and WC. Bathroom with bath with shower over, basin and WC. Additional basin and WC. 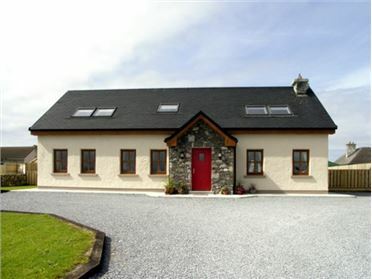 Fitted kitchen with dining area (seats 6), open fire and additional comfy seating for 2. Sitting room (seats 6) with open fire and sea views. Oil central heating with open fires in dining area and sitting room. Electric oven and hob, microwave, fridge, washing machine, tumble dryer, dishwasher, TV, DVD. Fuel, power and starter pack for open fires inc. in rent. Bed linen and towels inc. in rent. Cot and highchair available. Off road parking for 4 cars. Lawned garden surrounding cottage with garden furniture and BBQ. Two well-behaved dogs welcome. Shop and pub 1 mile. Note: This property is situated on the N67, and as such, may be subject to some associated noise.